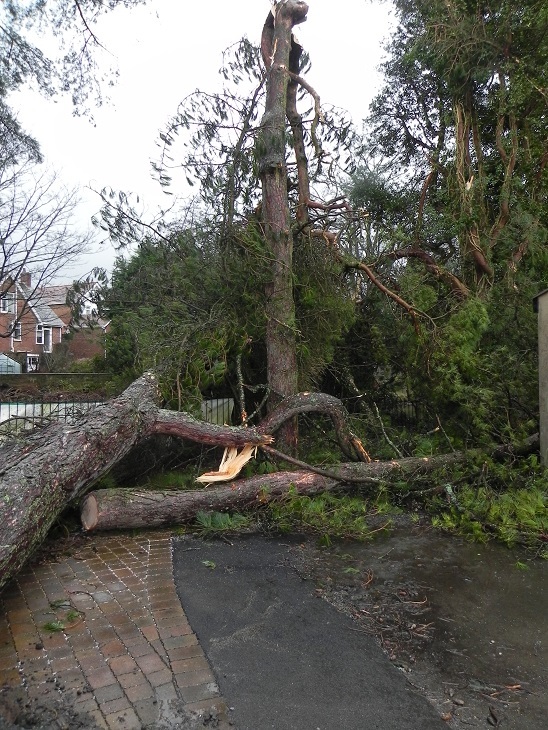 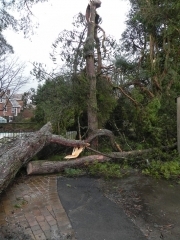 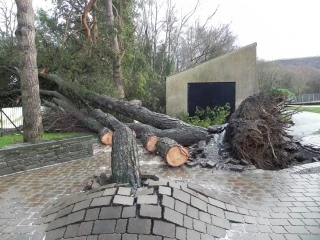 A large pine tree was brought down by the wind in Coed Gwilym Park next to the Heritage Centre. 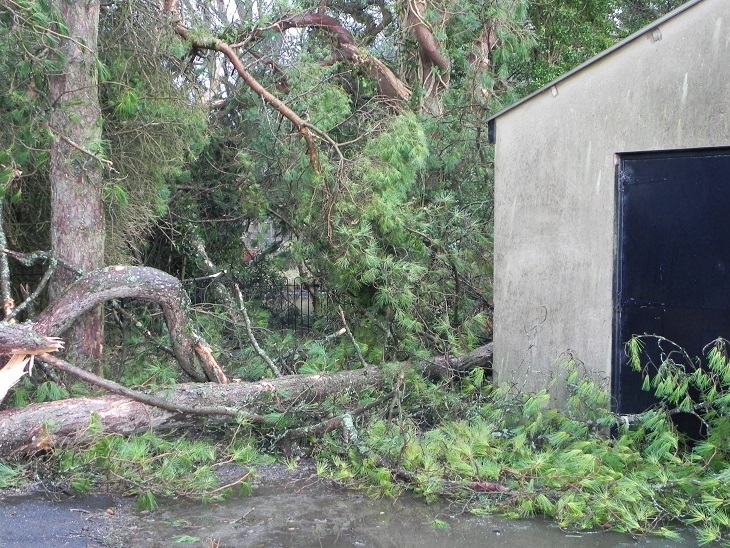 It brought another tree down with it, narrowly missing our canoe store. 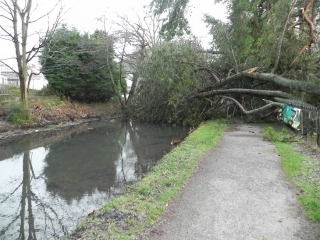 It’s length was such that it straddled the towpath and canal alongside the park. 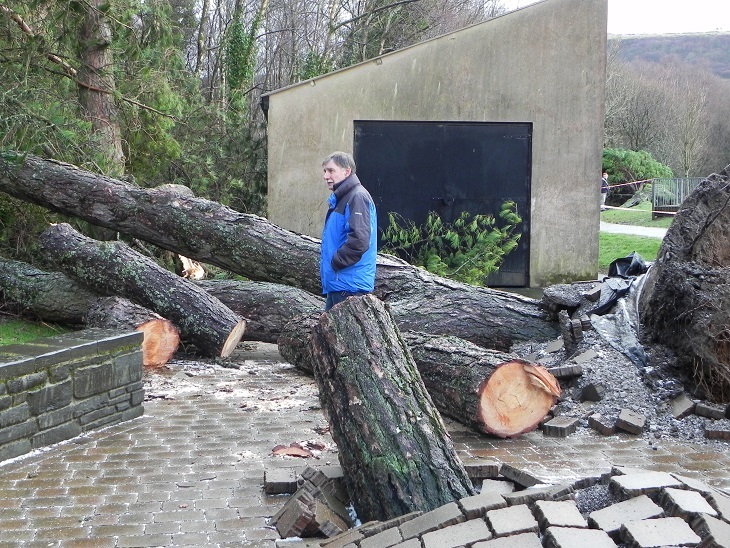 David, our Chairman, is obviously contemplating that a few feet to the right and our canoe store would have been smashed before we have even set foot in it. 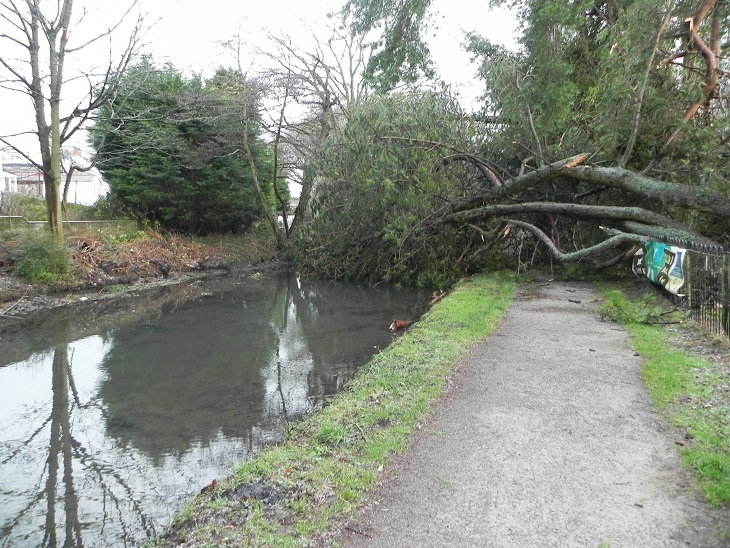 It brought up the cobblestones that were surrounding it, and the area and the tow path have had to be cordoned off until everything is removed and made safe.